If you are in Baltimore, where should you celebrate National Ice Cream Day. 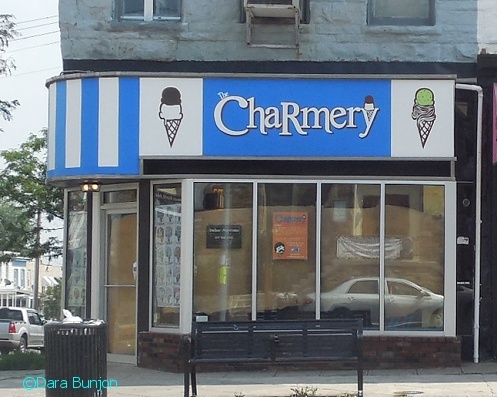 Top of my list is The Charmery, on the corner of Chestnut and W. 36th Street which just opened their doors yesterday. The brightly colored ice cream parlor features sixteen flavors of ice cream, some traditional and some Baltimore themed like Zeke’s Coffee ice cream, Lemon Stick sorbet and even an Old Bay Caramel ice cream. All the ice creams, froyo and sorbets use only the freshest ingredients, sourced from local farms and producers. As the seasons change so will the flavors and offerings. The cooler months will have hot chocolates and house-made marshmallows.